The Russian Soyuz TMA-05M spacecraft has docked with the ISS, bringing a new crew for a four-month stint on the station. The international team headed by Indian-American astronaut Sunita Williams will conduct around 40 experiments on their mission. 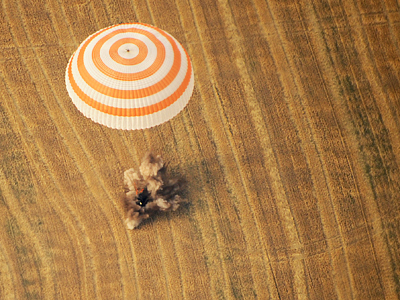 The crew of three docked the Soyuz capsule with the station at 08:51 Moscow time (04:51 GMT). 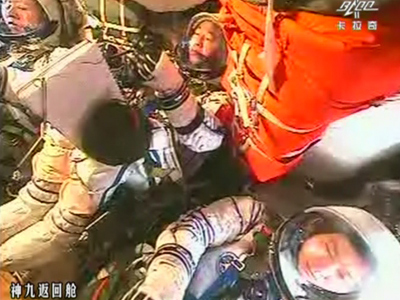 Russian Soyuz Commander Yury Malenchenko and Japanese Aerospace Exploration flight engineer Akihiko Hoshide accompany the record-breaking captain who holds record for the longest spaceflight by a woman – 195 days. The astronauts were greeting by a fusion banquet of Asian, Russian and American dishes prepared by the current occupants of the ISS. The new-comers for their part brought parcels for the departing crew member with letters and presents from friends and family on Earth. 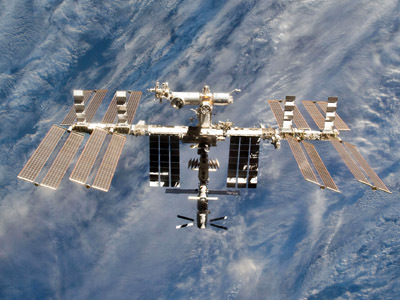 “The team is in good physical health for astronauts undergoing the acclimatization process,” said Igor Ushakov, head of the Bio-Medical Institute of the Russian Academy of Science. 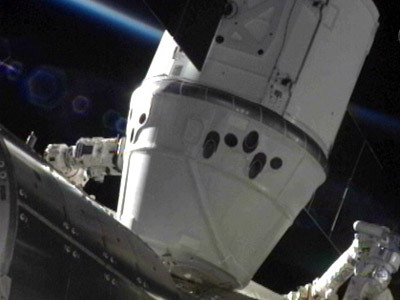 The new crew is faced with a number of important tasks on the Space Station. The team is entrusted with installing several new pieces of equipment and performing a number of complex operations on the base’s exterior. The team will also conduct several experiments, paying specific attention to the effects of weightlessness on bone density. They will also carry out research on small-scale satellites. 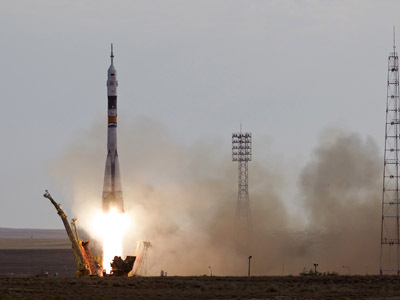 The astronauts took off from Baikonur cosmodrome in Kazakhstan on July 15 for their mission on the ISS. The docking of the Soyuz coincides with the 37th anniversary of the Apollo-Soyuz Test Project and the first docking of a US-Russian spacecraft.